I am a 5th generation beef farmer 4th generation butcher. My wife Benaye, son Oscar, and daughter Olive farm nearly 500 acres. We provide our cows, pigs, lambs, and turkeys with a stress free environment with the freedom to roam, forage, and sometimes just find a nice sunny spot to lay down and take a nap. We find our farming needs a little more time than more especially the beef. Raising slow growing Scottish Highlands may take three winters till that beef is approved to meet our standards for processing. As with all the animals on the farm they are not given hormones, antibiotics, and are free to roam on almost 100 acres of pasture. Our Berkshire pigs are foraging at all hours of the day and night digging for roots, nuts, minerals, or just a hole in the ground because thats what pigs do. The pigs are fenced in the back woods and and have the freedom to roam and play as they please. My wife spoils them with fruits and veges quite often so thats why they tend to wag their tails like dogs and want any scratching and attention you offer. When we first got into lambs the choice was easy, it was to find a very mild lamb that was also a hardy breed. We started our flock with Katahdins which is know for their easy lambing, great tasting mild meat, and very winter hardy. As the breed became more and more popular we diversified into Jacob sheep. At our farm we like being different from the rest. The jacob sheep date back to pre biblical times as they are mentioned in the Bible. 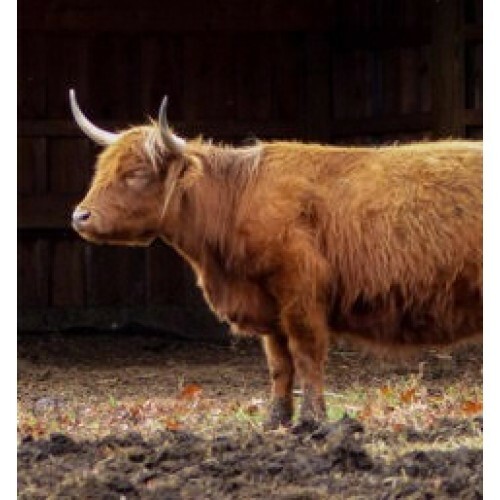 They are know for there mild meat, crazy horns, very high quality wool, and durability. When I mention mild meat I am talking about a very tender, tasty meat, with out the gaminess. Our Turkeys are available once a year the week of Thanksgiving. These are also raised on pasture and supplemented with grain. By pasture I mean they have page wire fence, grass, a stream running through the middle, not a caged in roof cover contraption dragged around the fields. We offer our beef whole/half/quarter, pigs whole/half, lambs whole, and Turkeys by the bird. This is all processed in house for our share customers. We also offer USDA inspected products for shops, restaurants, and chefs. Please call or email us with any questions. We also offer our followers on Facebook fabulous recipes to cook with their products. 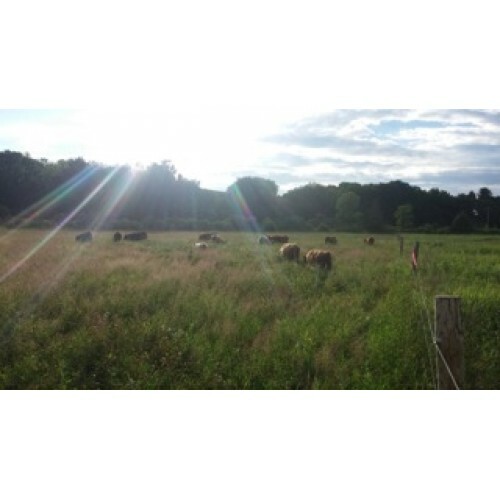 Products: I am a 5th generation beef farmer who raises and processes for our CSA customers. 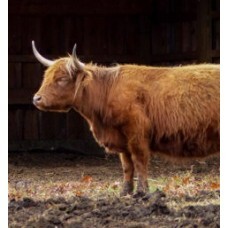 We offer 21 day dry aged, grass fed, hormone, antibiotic free Scottish Highland beef. We also offer pasture raised registered Berkshire pigs from the NYS Champions bloodline. These pigs forage through the woods and are also feed grain from local farmers and this consist of on three ingredients. For Thanksgiving we offer pasture raise Heritage Turkeys. In the fall we also offer pasture raised lamb. I have a split flock of registered Jacob sheep and Katahdin. Both are recognized for their lack of "gamey" taste and smell. We provide all of the hay for our animals baling almost 300 acres and practice the farming methods of our ancestors. For our first time ever with the overwhelming call we are offer pig roasting available. Where to Find our Products: Shares of our farm may be picked up right on the farm after your custom order is place. Wholesale customers have the option of picking up or delivering.